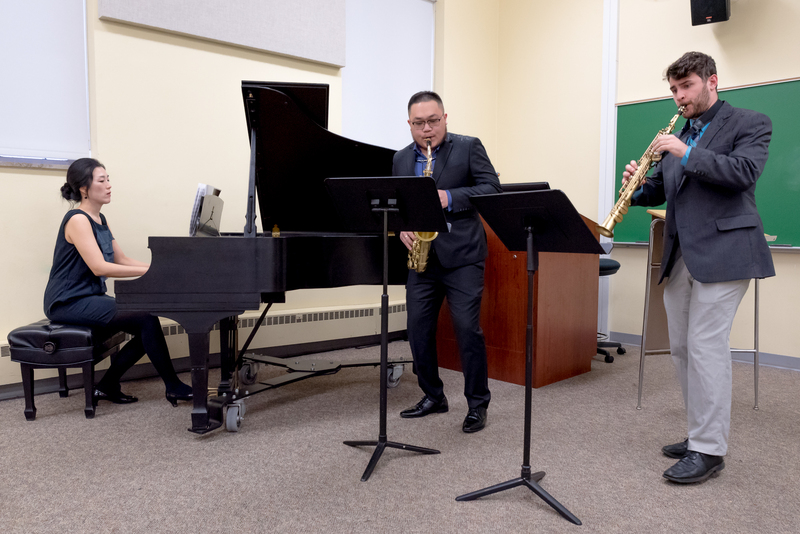 The Besozzi Trio, comprised of current saxophone students Xian Ji (Artist Diploma) and Daniel Muller (Master of Music) along with recent piano graduate Hyun Joo Park (A.D., 2017), recently submitted an audition video to the Fischoff National Chamber Music Competition. The trio landed a quarter-finalist position and the chance to compete for cash prizes totaling $37,500. On May 11, they will travel to Notre Dame to perform a rigorous program of original music written specifically for saxophones and piano. Should they take the Grand Prize, they will win $10,000 plus another $3,500 award upon completion of the Winner's Tour of the Midwestern United States. James Houlik, Professor of Saxophone and Chair of the Performance Department, coaches the ensemble and is unmistakably impressed by their musicianship. He says, "I am so impressed with the wonderful way in which these players have focused on the goals of music-making in the chamber setting. This experience will change and expand them as partners in the musical enterprise." 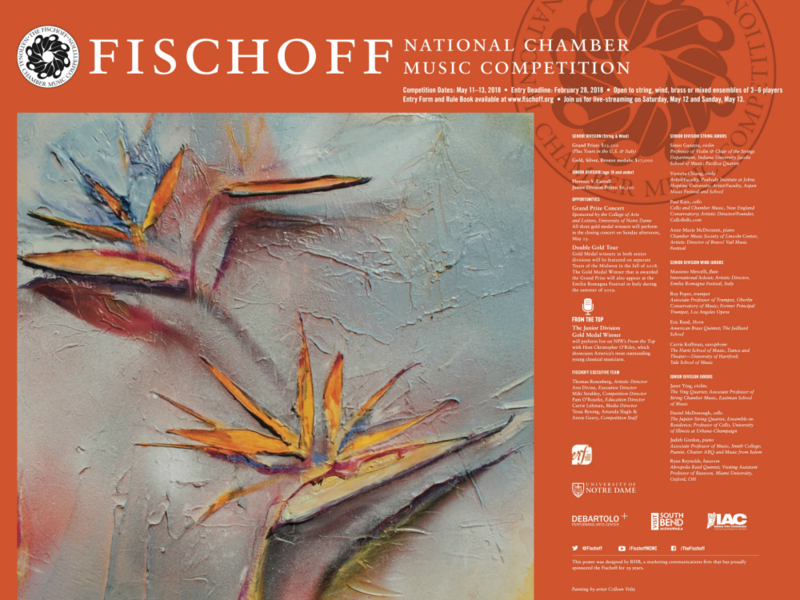 For more information about the Fischoff National Chamber Music Competition, visit fischoff.org.